Whether seen on a country estate or some parkland, recycled plastic is commonly used by those tasked with maintaining large areas of land. It lasts for decades, due mainly to its inherent toughness and lack of need for ongoing maintenance. In addition, it is chemically inert so will never leach any toxic chemicals, making them perfect for waterways, fragile ecosystems and even SSSIs. Let’s take a look at some of the products that a good estate manager can use to reduce long term expenditure in these times of austerity and budget cutbacks whilst minimising their impact on the environment. 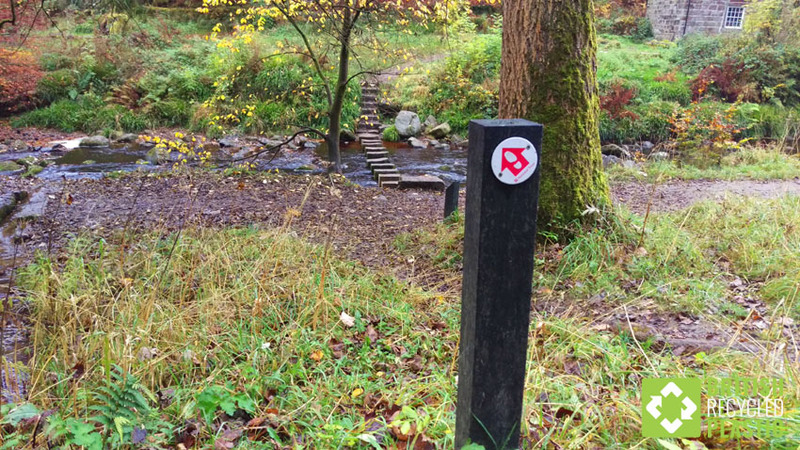 Waymarkers are often overlooked but in larger estates or parks, but they can help the flow of visitors and ensure that everyone gets the most out of their visit. Using recycled plastic means that your waymarkers will never rot, unlike comparable ones made from wood. While we can supply cylindrical posts, most users find that square posts are easiest when it comes to affixing signs, so we recommend our 100mmx100mm RPL005 posts in brown or black and cut to your preferred size. Recycled plastic fencing is a great choice for the prudent estate manager. It will last for many decades, will never split or splinter and blends quickly into the background. It may be that a simple post and rail fence like this, with rails for adults and children alike to hold, is all you need, or you may want something more substantial to keep people or animals away from a particular area. Take a look at our fence section for more information. 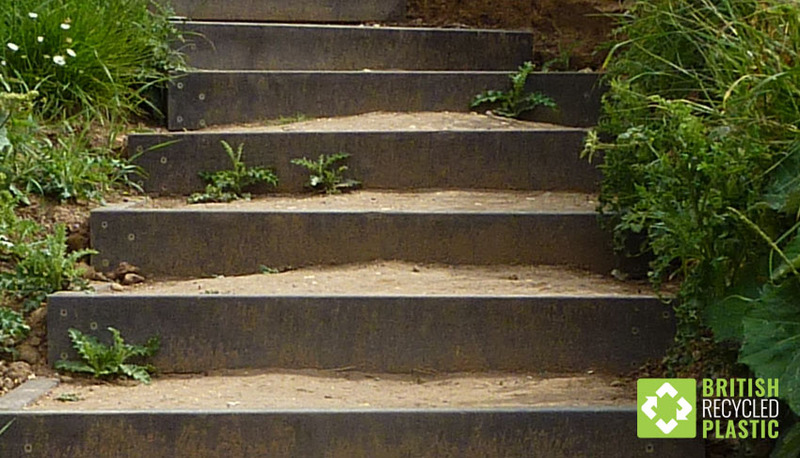 Steps are constantly being eroded and it can be a very hard job to keep on top of their maintenance. This is particularly true in places where the earth is relatively soft, as in the case of this East Riding of Yorkshire coastal path. One of the easier ways to minimise the erosion is by fabricating step “boxes” like these that fit into each other and provide a super-strong framework that can then be filled with the local soil. Signage in parkland is often made from wood. Exposed to the wind and rain, and without the use of harmful preservatives these days, they soon start to deteriorate and rot. 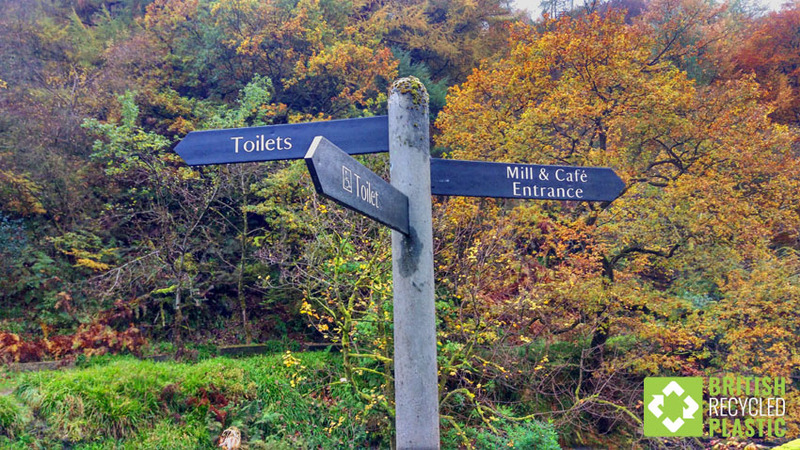 Signs made from recycled plastic wont ever rot and will ensure visitors to your estate find what they’re looking for with the minimum of fuss. These are all bespoke items so please contact us directly with your requirements. The only thing better than a good stroll is finding somewhere to sit, enjoy your surroundings and maybe even have a picnic. This is especially true when the grass is wet, as is often the case in Britain, but the last thing anyone wants is to sit on a damp, decaying wooden bench with the risk of splinters. 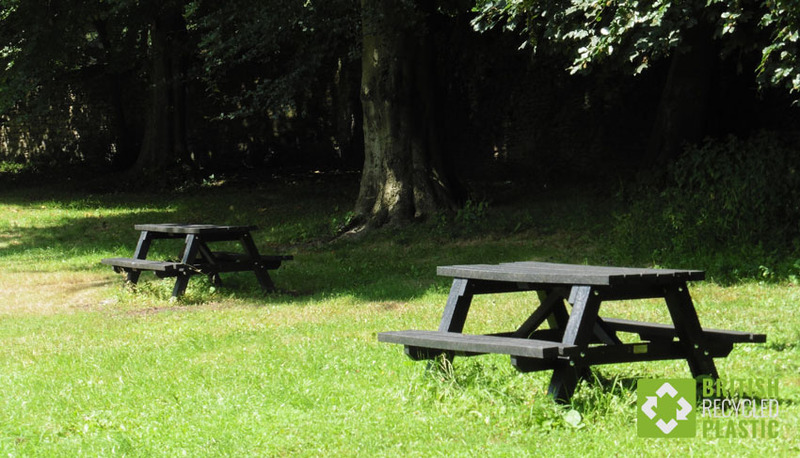 This is where our wide range of recycled plastic outdoor furniture comes into its own. Available fully assembled or flat-packed to get the most from your budget, we have just what you’re looking for. 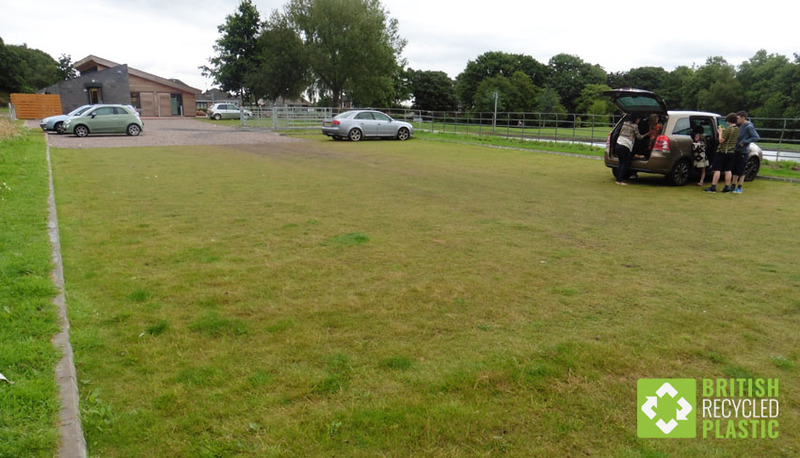 Any country park or estate will need car parking facilities and access roads. Too often this seems to be a choice between impermeable, environmentally unfriendly tarmac or just cleared earth that starts to rut after the first heavy rain. The canny estate manager will take a third route however, using our permeable Hebden ground reinforcement grids filled with either gravel or grass that provide a strong enough surface to carry any UK road-legal vehicle. Like by local authorities, they can also be used to make Part-M compliant pathways for wheelchair users. 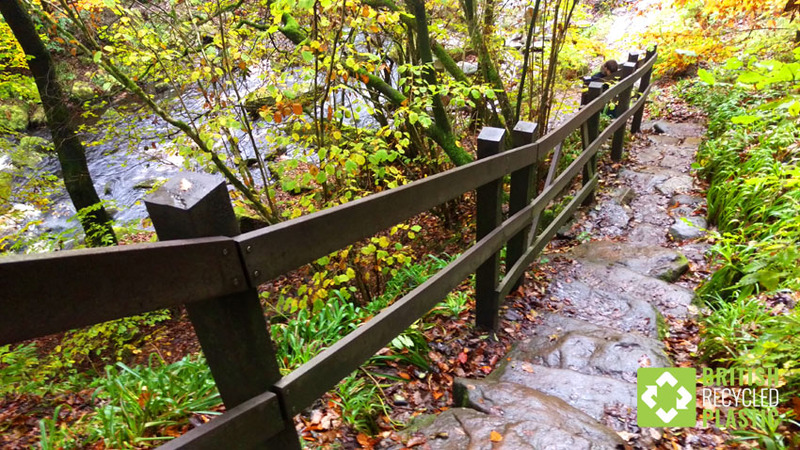 Sometimes in an estate there are areas that are just too difficult to cross for the general public so something more substantial needs constructing like a bridge or a boardwalk. This might be because of water or perhaps it’s just very uneven terrain. 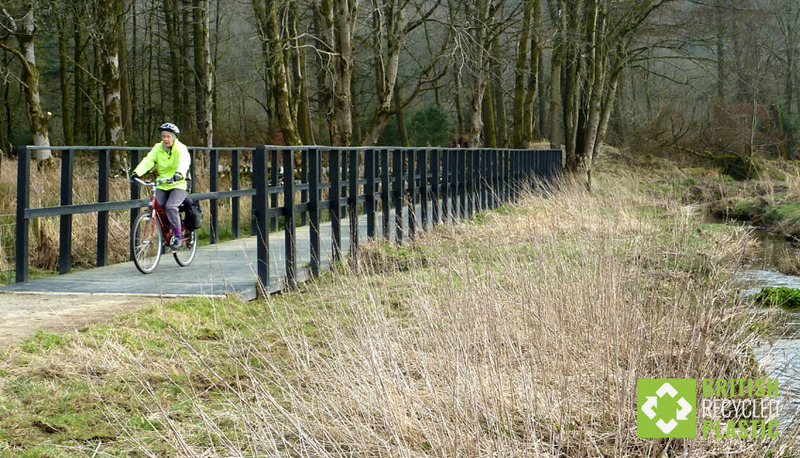 This short boardwalk in Dumfries and Galloway in Scotland sits in water permanently so, had it been constructed from conventional timber, it would have needed major maintenance by now or to have been built from steel. The high rails in this example are because the boardwalk is part of a cycle route and there is a drop at the side of over 400mm.